The Kathmandu Coast to Coast is full at its earliest point in fourteen years, with record breaking numbers. The iconic multi-sport event sold out last year for the first time since 2004 with organisers rapt at the renewed interest in the event as February is set to be see the largest number of competitors take part in its 35 year history. “In 1983 Robin Judkins had some crazy idea about creating a race from one side of New Zealand to the other, and in 2019 it seems that New Zealander’s and a number of folks from throughout the world are still keen to participate in the most iconic adventure that is the Kathmandu Coast to Coast,” Race Director Glen Currie said. Currie said the Kathmandu Coast to Coast was a great reflection of the Canterbury community and comparisons could be drawn in terms of how the race has recovered in terms of popularity and Christchurch’s recovery post-earthquake. Leading global outdoor adventure brand Kathmandu secured the naming rights and apparel sponsorship of the event in 2016 and last year’s event saw close to 900 competitors running, cycling and kayaking across the South Island. 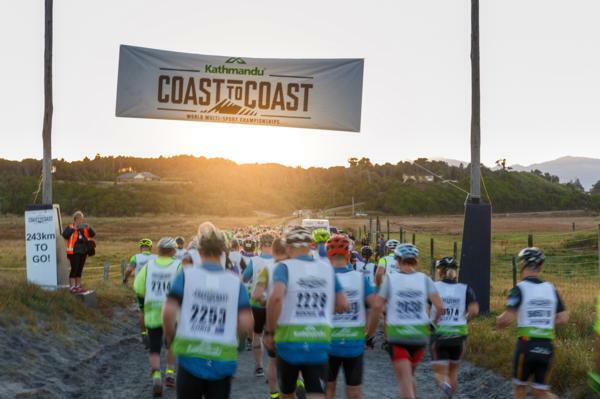 The Kathmandu Coast to Coast has become a rite of passage for multisport athletes from around the world with over 18,000 people having completed in the event in 35 years. With the sold out sign now up and a building wait list Currie and his team are focusing their efforts and energy on creating the best adventure and experience for competitors, support crews, volunteers and athlete fans. Currie said last year’s trend of increasing international and female entries has continued as February’s event is set to eclipse 2004’s largest field ever of 920 competitors across both teams and individuals. Department of Conservation restrictions limit the event to 800 entries which helps protects the pristine environment the event is held in, with two and three person relay teams only counting as one entry, which Currie said means the actual number of competitors will be well above 900 and potentially may exceed 1000 for the first time.